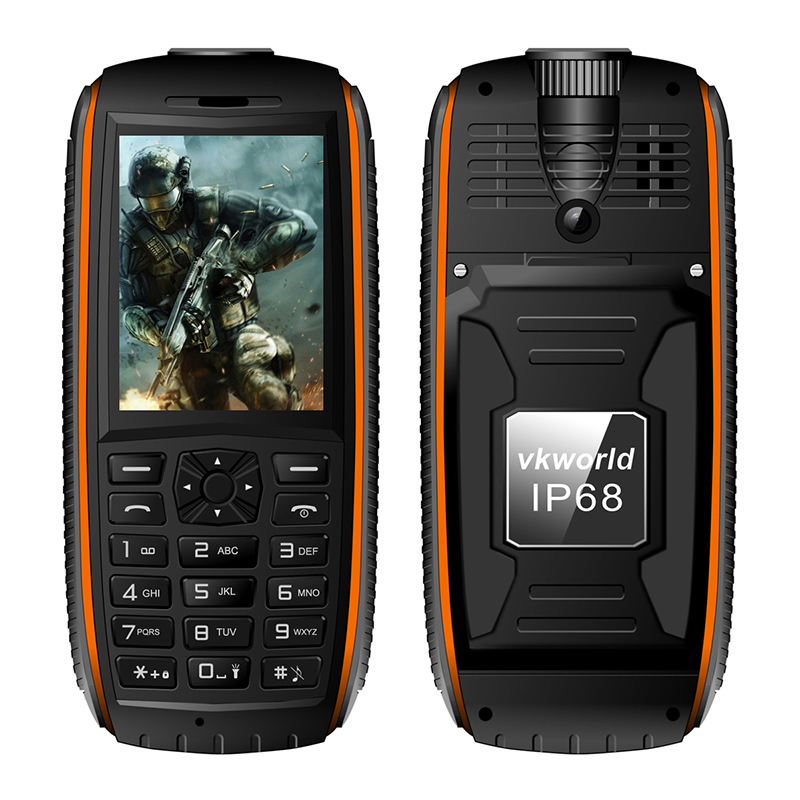 Successfully Added VK World Stone V3 Max Rugged Phone - Dual-IMEI, 5300mAh, IP68 Waterproof, Flashlight, 2.4-Inch Display, 1.3MP Cam (Orange) to your Shopping Cart. Meet the VK World Stone V3 Max, a merely indestructible cell phone that follows you wherever you go. With its fully rugged IP68 design, this rugged phone is fully protected against water, dust, drops, and low temperature – allowing you to use it anywhere on the globe. From the dusty deserts to the icy mountains, the VK World Stone V3 Max is guaranteed to do its job. Perfect for all outdoor enthusiasts that like to stay in contact with their loved ones back home while they themselves head out into the wild on their next adventure, this rugged phone will keep you connected no matter where life brings you. With its Dual-SIM card slots and two IMEI numbers, this IP68 waterproof cell phone brings your connectivity to entirely new heights. Dual-IMEI phones allow you to be connected to two providers simultaneously, letting you be reachable on two phone numbers while using merely one device – making these phones perfect to efficiently separate work and private life by using only one handset. Additionally, this rugged phone allows you to throw in a local SIM card while heading out into the wilds of a foreign country, letting you contact emergency services or local people in case necessary on the local network while, at the same time, staying reachable to people back home on your old and trusted domestic phone number. The TV World Stone V3 rugged phone packs an epic 5300mAh removable battery that brings along enough juice to use this waterproof phone for up to 72 hours continuously. As a true waterproof rugged phone, it also comes with an OTG cable that allows you to turn this cell phone into a power bank – letting you charge other electronics whenever necessary. From now on you’ll be able to head out on your next adventure with confidences as with this rugged phone at your side you're guaranteed to stay connected to civilization at any time. Additionally, the Stone V3 Max rugged handset also features an FM radio, letting you listen to your favorite tracks, the news, weather forecast, and popular talk shows even when located in the most remote areas. Like most of the high-end rugged phones out there, the VK World Stone V3 Max features a high-quality extra-bright LED flashlight that has been intergraded into its IP68 design. Illuming a massive amount of white light, this waterproof phone flashlight is capable of lighting up whatever lays in front of you - assuring that you’ll always stay on the safe side while heading out after dark. Additionally, this rugged handset also packs a sophisticated 1.3MP camera that lets you take nice pictures during your upcoming adventures – assuring that not a single special moment passes by uncaptured.